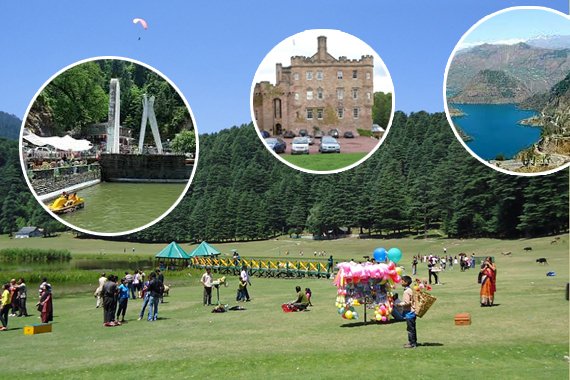 Category: Chandigarh - Dalhousie - Chandigarh Taxi Tour. Covering: Dalhousie , Khajjiar, Chamba. Driver, fuel, Toll, Taxes, Parking charges. Monumententrance fees, and any other expenses which is not mentioned in the above inclusions. 1. The balance amount has to be paid during the trip as per driver requirement and may vary based on actual distance travelled and other expenses incurred. 2. Please carry a print-out of this ticket while travelling. 3. After the travel, please fill up the drivers duty slip accurately. It will help us address your concerns smoothly in case there are any. 4. One day means a one calendar day ( from midnight 12 to midnight 12). 5. AC will not work in hill areas or stoped / parked vehicle. 6. The kilometers and/or hours charged will start from and end at our rental office.